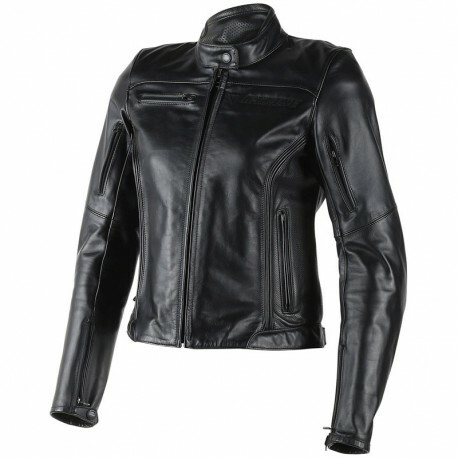 Jacket Dainese Nikita Lady -25% Super promotion - Unbeatable price! Refined femininity, sports passion and character distinguish this jacket in cowhide dedicated to the lady riders who demand the most technical content and design. Elasticated inserts on the back, adjustment possibilities at the side, and the jacket-pants fastening zip ensure adequate ergonomics. The 3D Bubble liner, ventilation on the sleeves and localised perforation offer the optimum microclimate to the advantage of excellent comfort. 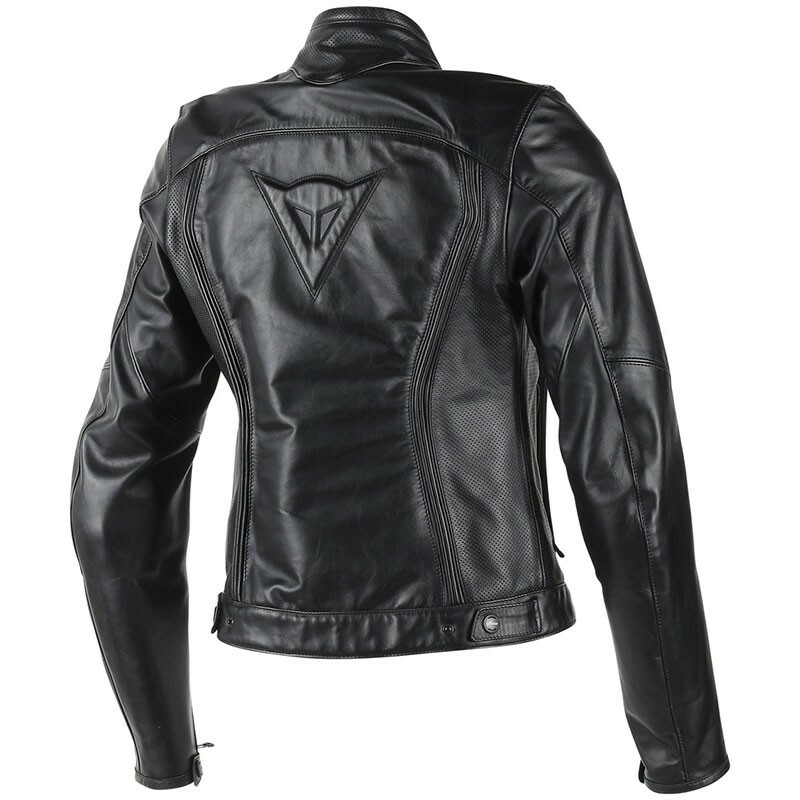 Homologated composite protectors, a back protector pocket, reflective inserts complete the features of this ladies’ jacket with great personality.